I was refilling my kitchen soap dispenser the other day and somehow the person doing the work broke the ends of the threaded pipe that the refillable bottle connects. I did not panic, I just went to Loews to get another one. I was not surprised to find out that I could only buy a matching blackened copper finish soap dispenser if I bought a complete kitchen facet set. Arrrrgh. So I decided to get a cheap plastic chrome replacement. 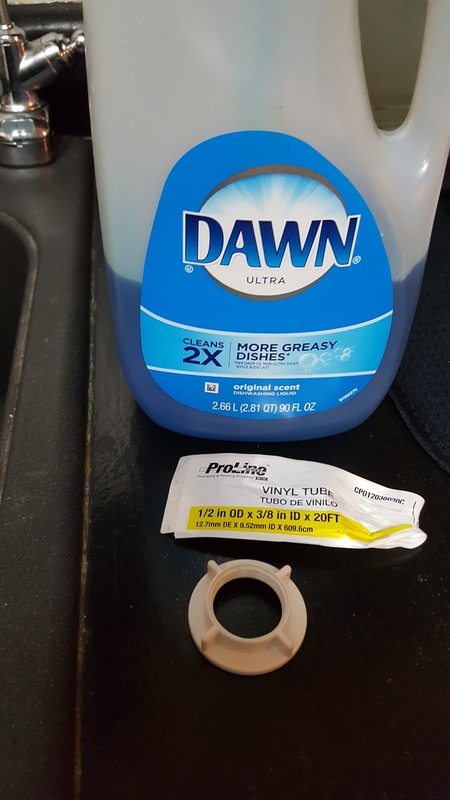 Before I opened the box I read the description and it described how you could use the included tubing to bypass the refillable bottle and connect to a large liquid soap bottle. 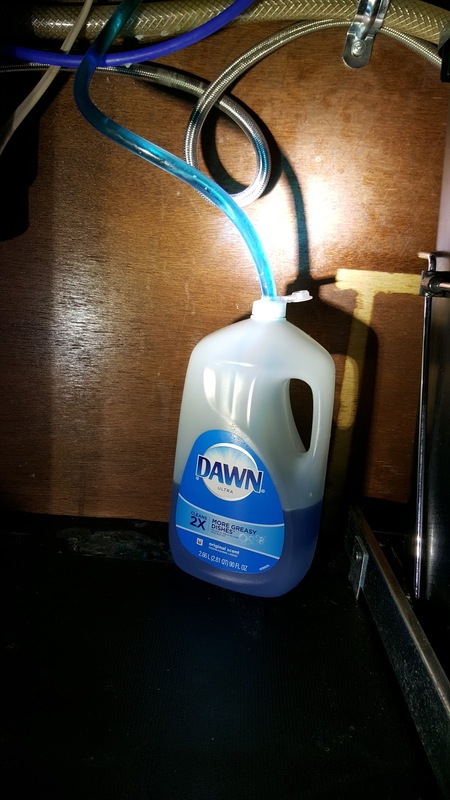 This would eliminate having to go under the sink every few weeks to refill it. 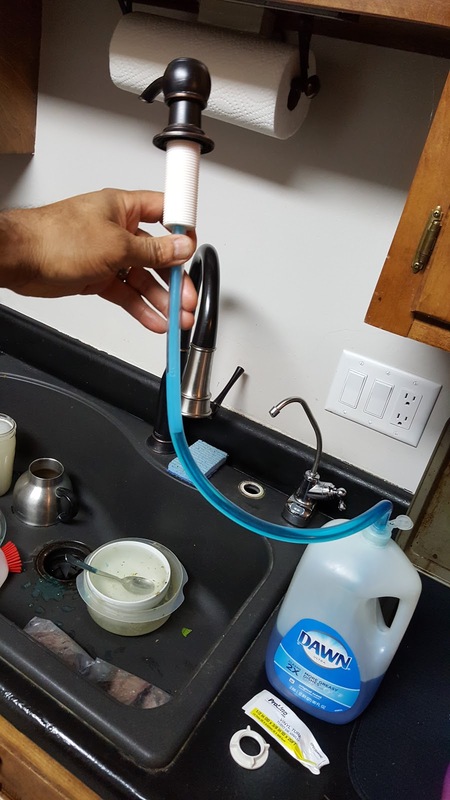 Instead of keeping the cheap dispenser, I bought some 1/2 inch OD by 3/8 inch ID tubing and fitted my existing dispenser with it. I cut a 1/2 inch hole in the top of my super size Dawn bottle from Sams club and viola, it works. 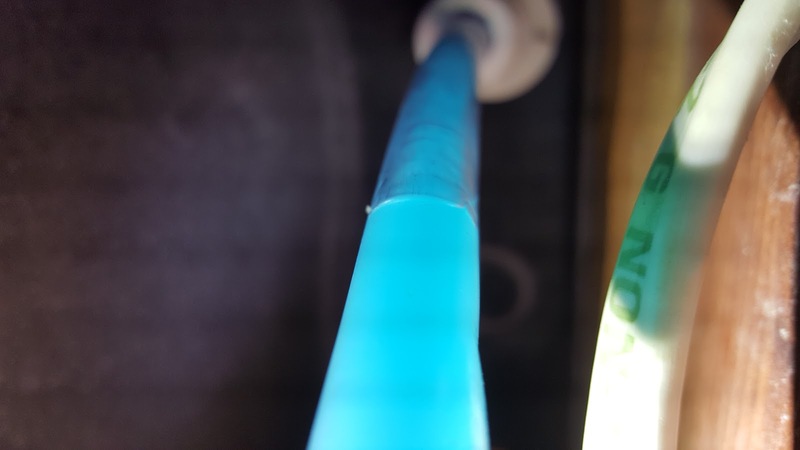 Blue tubing has Dawn and is going up to the bottom of the sink.